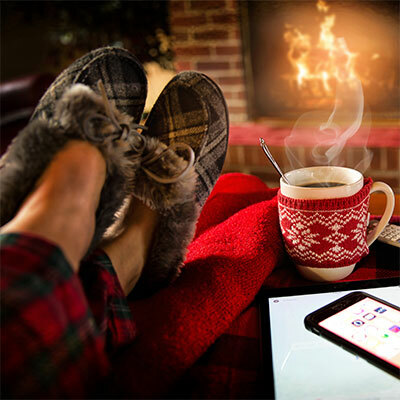 Keen to save on your energy bills this winter? 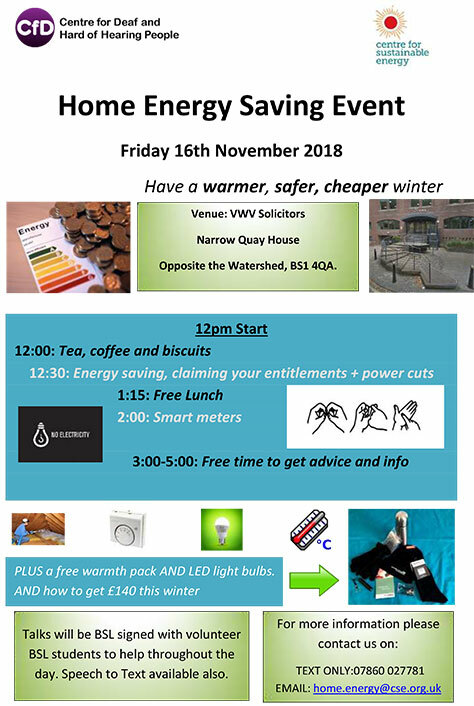 Come along to a special event on Friday 16th November to get information and advice about saving energy and how to make the most of using a smart meter. We are working with the Centre for Sustainable Energy to run this event for the Deaf and Hard of Hearing community and there will be BSL interpretation and speech to text available throughout the afternoon. The event is being held at the offices of VWV at Narrow Quay House, Narrow Quay, Bristol BS1 4QA. Everyone attending will get a free warmth pack and LED light bulbs. There will also be information about how to get £140 towards your fuel bills this winter. No need to book – just turn up at 12 o’clock!